it's that time again, i think we're going to make this a wednesday night thing - whatcha think? i know, i know - you caught me. last week we did it tuesday, i'm a day late so sue me. no, please don't. you won't get much. jokes. 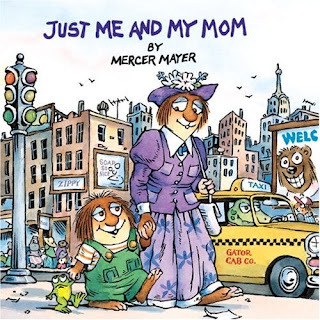 this week were totally gonna chat about some good ol' mercer meyer. i heart him, no seriously, his books make me giggle like a pre-teen. this entire collection of books was around when *i* was a kid. i was all over them, all of the time. i remember going to the local library when i was a wee-timbit with my momma and i always took out little critter books. i mean, who wouldn't?? the little critter family is so cute and the mouse/spider on every page - adorable. when i found out i was cookin' an itty bitty bun in the oven, one of the first things i thought of minus the obvious (birth, being responsible, no sleep, etc) was books. 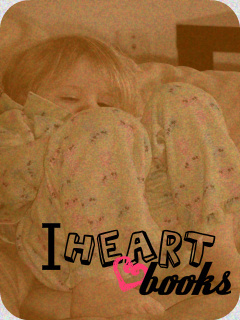 i really do heart books. of course, when my unnamed ex asked if i wanted to go out, it was easy to talk me into hitting up chapters. grabbing a starbucks while perusing the treasure chest of books that place has to offer, hell ya! how exciting was it that i finally got to browse the kids section with a reason. i no longer had to act like i was in that section for a specific reason i could now "look". i was pregnant people, baby on board, hello?? didn't you get the memo? baby.brewing.in.belly. while on this excursion, i had to buy something. i grabbed the little critter collection, it had lots of stories. it was the first item i bought for now mr man K. how cool am i? pretty cool. *brushes shoulders off* even cooler is the fact that we read a story out of this book at least five nights a week, you heard it here folks! we are little critter obsessed. and i bought it while the mr was a peanut. mr man K and lulu's favourite story out of this extremely large collection is just me and my mom. this title is super popular in our casa. clearly, as a single mom, i am a pretty significant person in my nuggets lives. i am essentially their everything (talk about pressure). this book holds some significance and they love doing things with just moi. again, i'm pretty spectacular, just sayin'. ha ha ha!! oh and by the way, you can tell me to shut up at any time. talking about myself, as hard as it is to believe, is pretty difficult. im a jokester by day, and -oh wait- still a jokester by night. hahaha. if you could see my face right now, it's red. 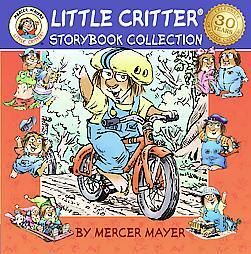 mercer meyer's little critter collection is timeless, clearly. i'm 25 and my children are young - even though i sort of set them up to love these books. (shh! don't tell anyone). definitely check them out, and join me wednesdays for our i heart books segment, and be sure to share with me what books are popular in your home. a new book suggestion is always welcome, we heart books! 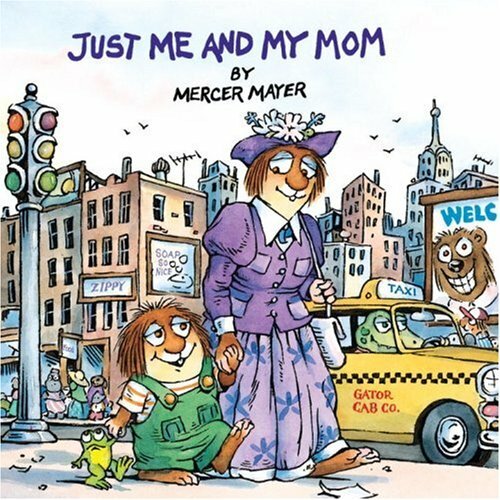 Just Me and My Mom is our personal favorite here from the Little Critters! Such a cute series! We do alot of Bearnstein Bears, Little White Fish (several in the series), Dr. Seus,Rapunzel, Peter Pan, Cinderella, HerSelf the Elf, Get Along Gang.